The environmental impact of plastic is finally receiving the attention it deserves. This is partly down to the BBC's Blue Planet II highlighting the problem of ocean plastics. But it's also because the Chinese government has recently imposed quality restrictions on the import of recyclable materials, in an attempt to address domestic concerns over pollution and public health. Beijing's move in effect closes down the export of recyclable plastics, paper and other materials from the world's richest countries. The UK, rest of Europe, US, Australia and others have for a long time been dependent on China to take the poor quality materials that they collect and do not have the infrastructure or capacity to use themselves. 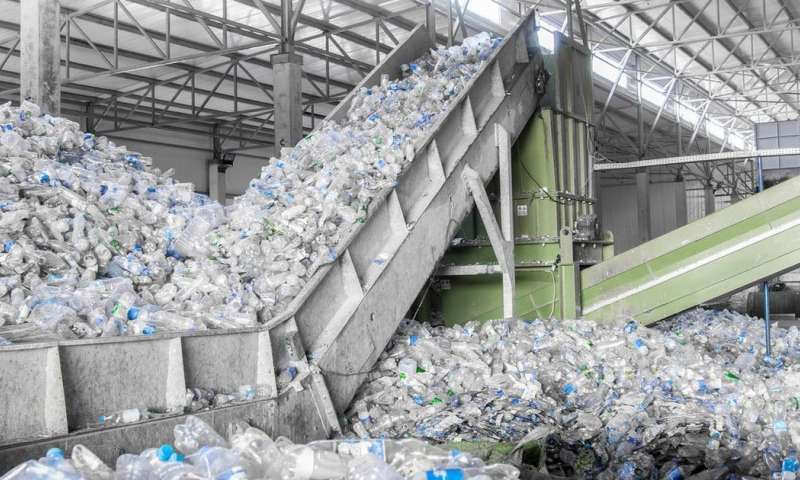 Until more recycling plants are built to deal with it domestically, the UK faces a build-up of plastic waste. Recycling targets tend to focus on quantity, but the quality of materials collected is just as important. Recycling "quality" refers to how clean and well sorted individual materials are. Poorly sorted materials are referred to as "contaminated", and it is this that China will no longer accept. (If you want to avoid contaminating your recycling collection, check out these top tips). If the UK improved the quality of the material collected for recycling, it could still be sent to China. This would require a nationwide collection system for materials suitable to be used again (recycled). This may take the form of reworked household collections, comprehensive collections from business premises, or a revival of the "deposit and return" schemes that once covered glass bottles and today could also include plastic bottles, drinks cans or coffee cups. Alternatively, the government could impose mandatory recycled content for various plastic products. Coca Cola, for instance, recently announced that by 2020 its bottles will contain 50% recycled material. This is a step in the right direction, but why only 50%? If this target was increased the sheer scale of production means there would be a huge impact. Let's take advantage of the current mood. While there is a public focus on plastics, people should learn more about their purchasing decisions and recycling actions. On a larger scale, it is at times of crisis or failure that policy makers become open to new ideas, or old ones recycled. This is one such failure which offers a real opportunity to wake up and improve our environmental impact.